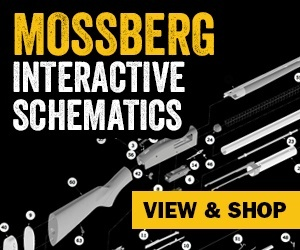 Mossberg Blog | Mossberg® Adds 930™ and 835® Ulti-Mag® Multi-Purpose Field Models | O.F. Mossberg & Sons, Inc. 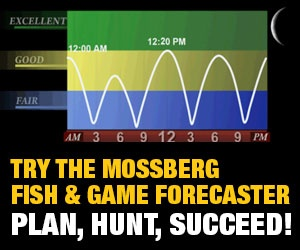 Choose from two new 12-gauge, 3-inch field versions of Mossberg’s reliable 930 autoloader and two field models of the world’s first 12-gauge, 3.5-inch pump-action, the Mossberg 835 Ulti-Mag. These multi-purpose hunting guns are available with 26-inch barrel lengths in a fully-camouflaged, Mossy Oak® Bottomland package with versatile ACCU-CHOKE™ (930 model) and ACCU-MAG™ (835 Ulti-Mag model) choke tube systems plus a Turkey-designated choke tube; a 28-inch barrel length with black synthetic stock and forend (930); and a 26-inch barrel length with black synthetic stock and forend (835 Ulti-Mag) with respective choke tube systems. The Mossberg 930 autoloader has gained recognition for its reliability, smooth-cycling and low-recoiling operation. At the core of these 12-gauge, chambered for 2.75 and 3-inch shells, is Mossberg’s dual vent-gas system combined with performance-enhancing features: beveled loading gate for ease of reloading; Mossberg’s Stock Drop System that adjusts the vertical angle of the stock (drop at comb) for a custom-like fit; and set of ACCU-CHOKE choke tubes (Full, Modified and Improved Cylinder) to modify your pattern based on your shotshell choice or the hunting conditions. The 930 also has an easy quick-empty release button which provides for convenient unloading of shells from the magazine; mag cap and rear sling swivel studs; drilled and tapped receiver; and top-mounted, ambidextrous safety. The Mossberg 835 Ulti-Mag was the first 12-gauge, pump-action designed for 3.5-inch shotshells; making this shotgun the ultimate multi-season, multi-species gun with its ability to handle 2.75, 3 and 3.5-inch shells. The 835 is based upon Mossberg’s proven pump-action design that features dual extractors, twin-action bars, positive steel-to-steel lock-up and an anti-jam elevator; and features Mossberg’s universally-recognized, ambidextrous top-mounted safety. Other standard features include vent rib barrel with ACCU-MAG choke compatibility; drilled and tapped receiver; and mag cap and rear sling swivel studs. Regardless of the quarry – ducks, turkeys, upland birds or small game, you need a reliable, dependable and performance-driven shotgun, look no further than Mossberg’s extensive line of 930 autoloading and 835 Ulti-Mag pump-action shotguns. 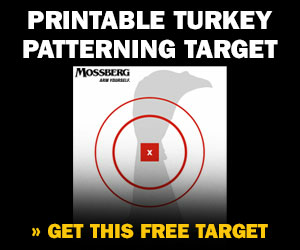 For specifications on these Field versions, the complete lines of 930 and 835 Ulti-Mag offerings and other members of the Mossberg shotgun family: the 935 Magnum™, 535 ATS™ and venerable 500® shotguns, please visit www.mossberg.com. Mossy Oak® and Bottomland® are registered trademarks of Haas Outdoor, Inc.